Husk corn, washing, drying and reserving cornhusks for garnish. 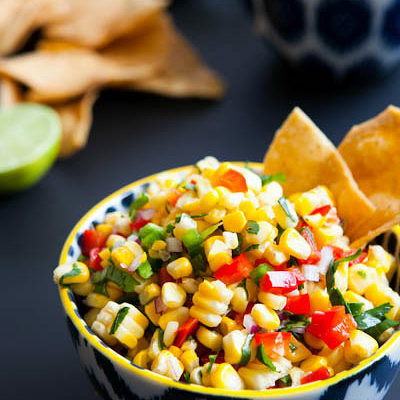 With a knife, remove kernels from 3 ears corn (makes about 2 cups or 12 ounces); place in a large bowl. Slice the remaining 3 ears crosswise to make ½-inch rounds. Blanch in salted water; reserve for garnish. 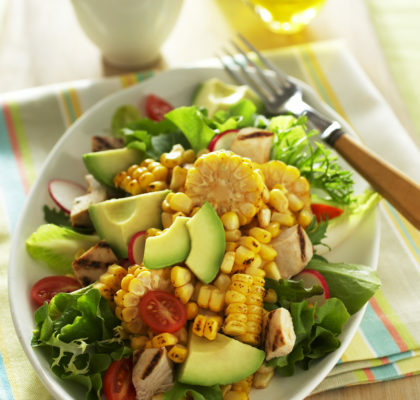 To prepare Lime Vinaigrette: In a small bowl, combine lime juice, olive oil, salt and pepper. 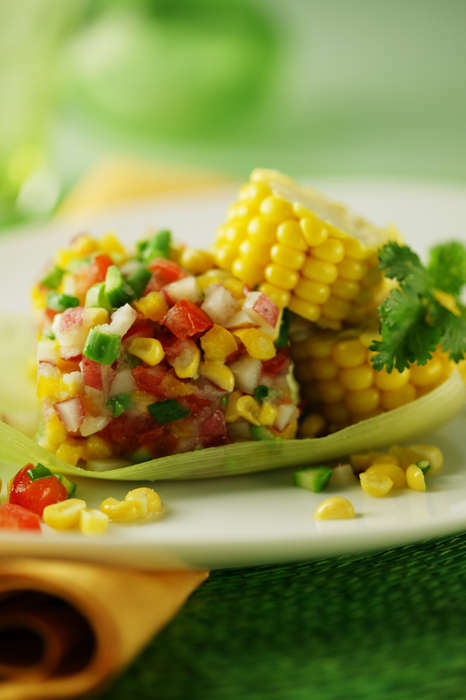 To prepare Ceviche: To the larger bowl with corn kernels, add potatoes, tomatoes, green beans, asparagus, shallots, bell pepper, garlic and jalapeño. Gently stir in Lime Vinaigrette. Let stand for 1 hour to blend flavors. Just before service, stir in cilantro. 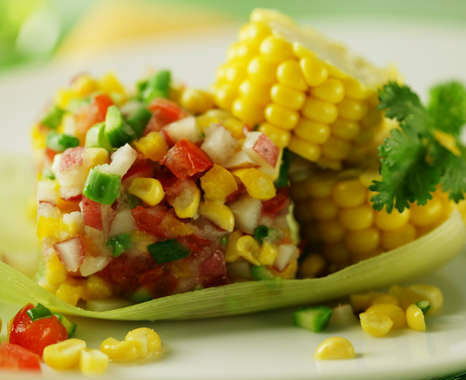 To plate: Arrange corn husks on each plate; place a 2-inch ring mold in the center; firmly pack mold with ceviche mix; remove mold. 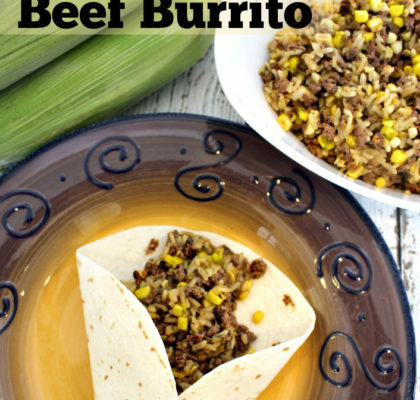 Garnish each portion with two of the reserved corn rounds and a cilantro sprig, if desired. 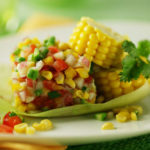 Fresh sweet corn pairs with other spring vegetables in this vegetable ceviche from celebrity chef Michelle Bernstein.